Discover the one property report that provides all the decision making data you may need, including property, ownership, encumbrance and market information. You’ll also find real time property tax, HOA data and other information not available in any other property report on the market. Fill out this form or call Customer Support at 800.708.8463 to get access to the TotalView Report. encumbrance information, in one automated report. including current ownership and vesting, last market sale and listing and foreclosure status. 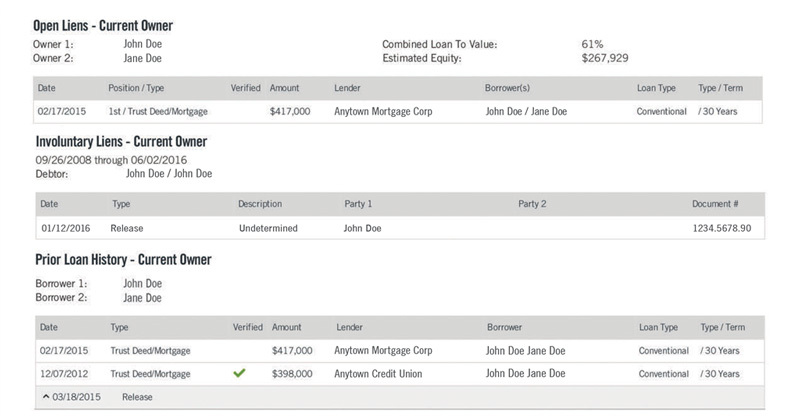 TotalView makes it easy to find and review the open and closed liens on a property as well as the associated lien position (e.g., 1st, 2nd or 3rd mortgage). You can also review loan history and transfers for the current owner. With TotalView, you’ll quickly determine whether the taxes have been paid for a property, what the amounts are, and when taxes are due. You’ll also discover assessment details, including any Mello-Roos tax amounts. TotalView offers exclusive access to HOA information, so you can quickly determine if a property is in an association (HOA), view the contact information, and determine fees and payment frequency. 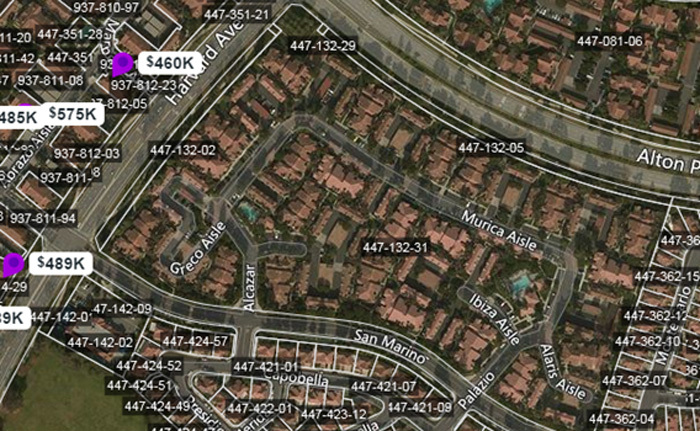 TotalView draws from HOA data that represents an estimated 90% of all homes in an association. 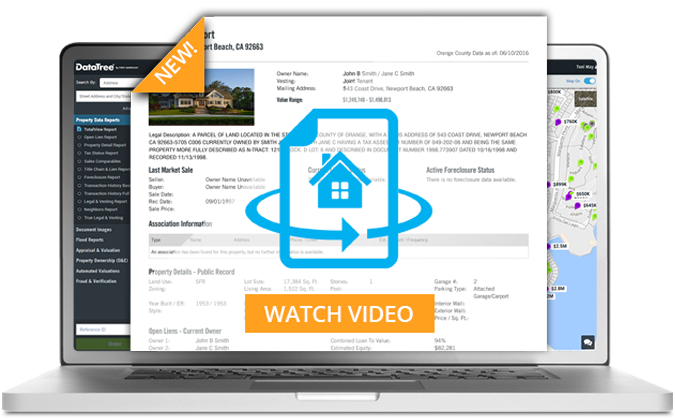 TotalView displays involuntary liens for additional information on the property and owner. When present, you’ll find mechanic’s liens for property improvements, HOA liens for unpaid fees, federal, state, county and city liens, and more. Get access to the TotalView Report today! When access is enabled, you may order TotalView whenever you need it.